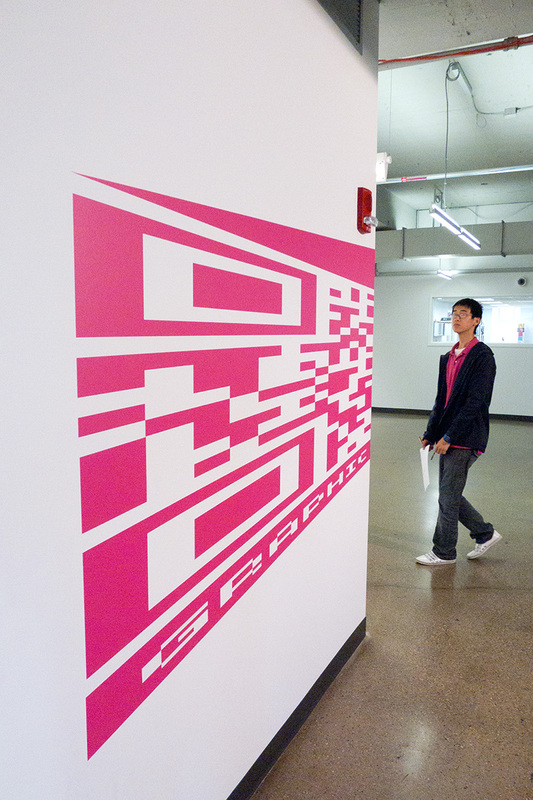 This unusual vinyl signage is a QR code mapped onto multiple planes in perspective, so that it can only be scanned from a particular spot. 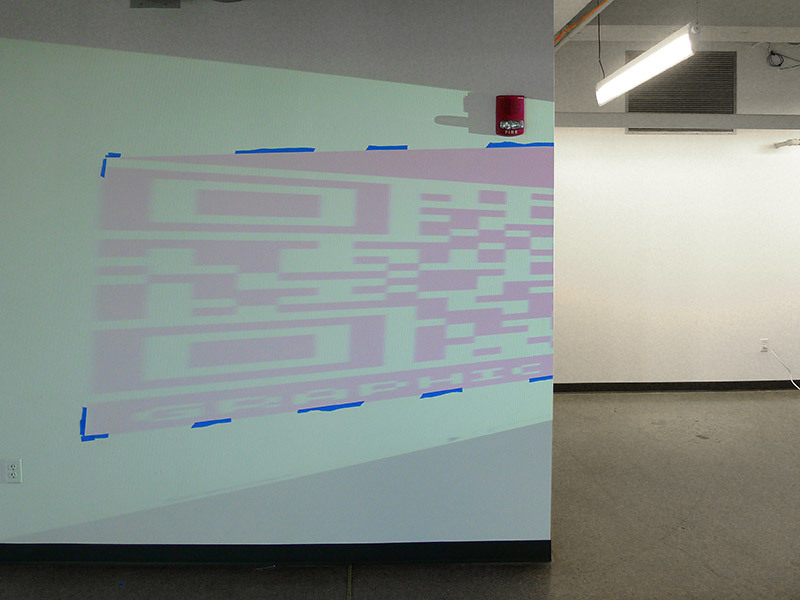 This locates the user directly between two other pieces of the installation, the Colada and Color Cubed. 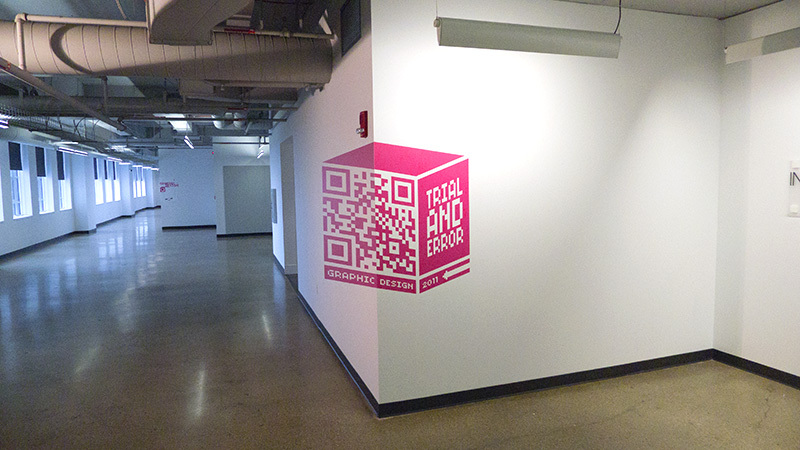 Upon successful scanning of this code, visitors arrive at a screen where they can choose to interact with either one. The effect of walking past the signage is unique, as message and form are revealed gradually. 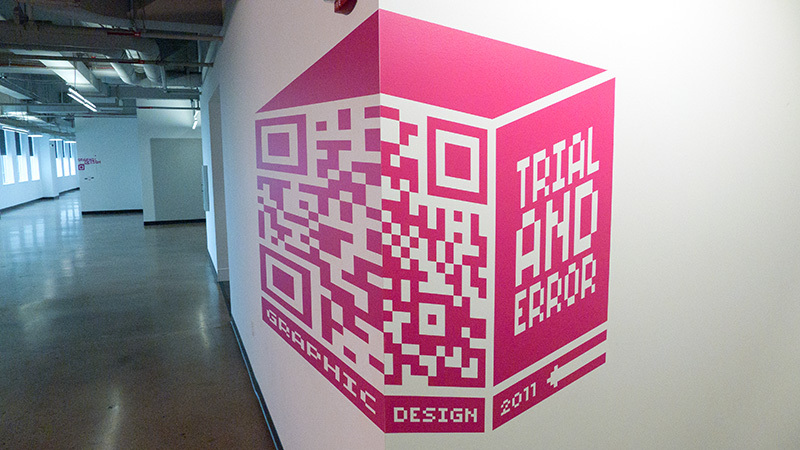 Trial & Error signage from Nevercool on Vimeo. The prototyping process was exacting. Projected images had to be marked, measured, and then transformed in Illustrator to precise measurements. 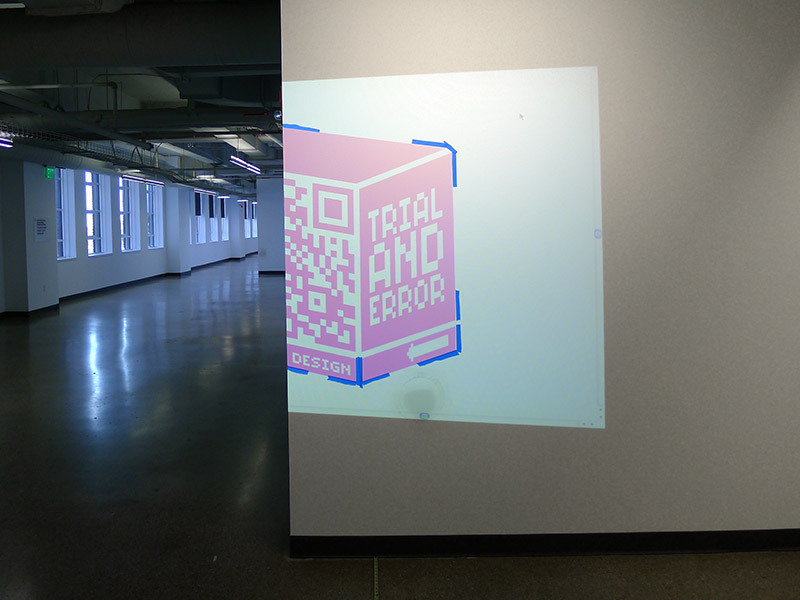 QR has some error correction built in when things are flat… but when the code gets mapped to more than one plane, we discovered that the proportions must be accurate. 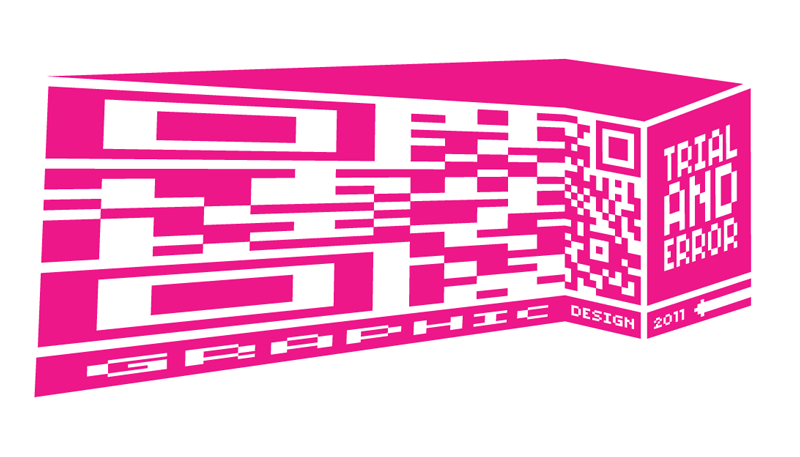 QR code prototyping from Nevercool on Vimeo.